Crafters Companion > Blog > Build-A-Block™ Curves are finally here! Build-A-Block™ Curves are finally here! US Friends, Jennifer Tryon will be launching these fabulous dies on HSN 15th April! 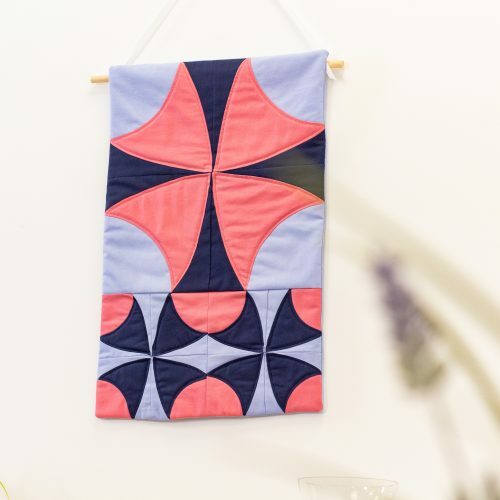 Once you have your fabric dies, we know you’ll want to experiment! 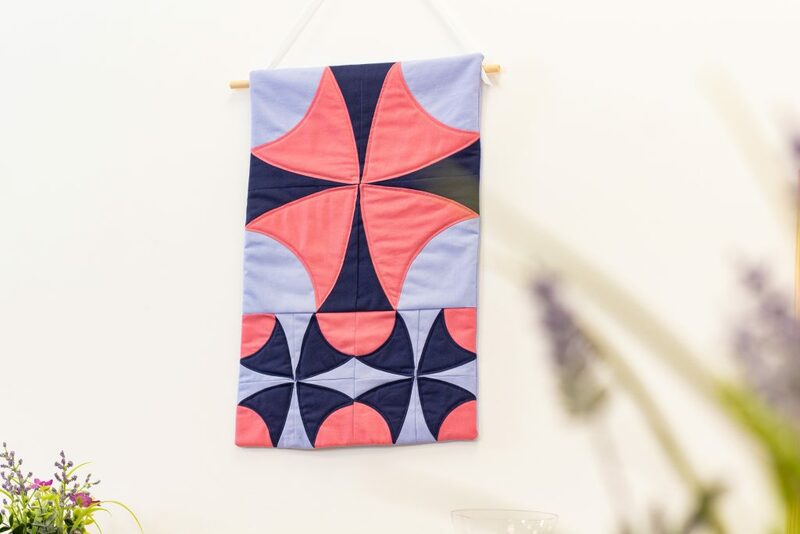 So, how about this lovely wall hanging project to get you started? Sew a large border to either side of a large shield then sew a large quarter circle to the shield as shown. Repeat this process a further three times. Sew the blocks from Step 1 right sides together to create your top section of the design. Repeat Step 1 with the small shapes to create eight smaller blocks. Once complete sew them right sides together to form the bottom section of the design. Place the top and bottom sections of the design right sides together and stitch to attach them. Your wall hanging front panel is now complete. Take a hanging loop panel and fold each short edge in by 1⁄4” and edge-stitch to hold them in place. Fold the long edges of the hanging loop in by 1⁄4” then fold the piece in half lengthways. Place the folded strip 0.5” down onto the top of the back panel. Edge stitch down both long edge of the strip. Adhere the wadding/batting to the wrong side of the front panel (Stick and Stay spray is ideal for this). Place the backing and front panel right sides together, stitch around all four edges leaving an 3” opening along the bottom seam for turning through. Turn the wall hanging through the opening in the bottom seam and press it well. Stitch the open seam closed. Thread the dowel rod through the hanging loop and tie ribbon to the rod to finish.